Let THE TEE-TONES take you back in time w/ great music and entertainment and great fun you and your guests thoroughly enjoy. Bring an EXCITING, EXPERIENCED, CLASSY and PROFESSIONAL singing group who combine SOULFUL group harmonies with PASSIONATE vocal performances of CLASSICS from the DOOWOP and MOTOWN eras to entertain your guests at your next event. 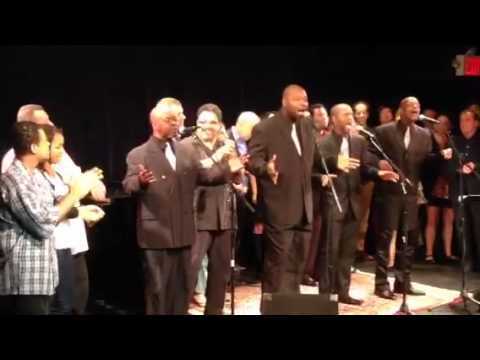 They've performed everywhere from PBS' "Doowop Generations" and ABC's GMA to the stage of the Beacon Theatre and with over 3 decades of great American music in their repertoire that's been heard at special events for the likes of Paul McCartney & Berry Gordy. The Tee-Tones make ANY special occasion, event or project into a fun, joyous one. The Tee-Tones sang a 30 minute set at my mom's 75th birthday party and were absolutely incredible!! They made my mom's night and all of the guests loved them. Would highly recommend them!!! These guys killed it!! Best party ever thanks to this professional crew. Such gentlemen with great voices and great vibe! Would definitely recommend for any event and will definitely hire them again! These terrific guys “made” the party! Smiles and sing-a-longs the whole evening!!!!! The Tee-Tones were the perfect addition to my Dad's 80th Bday celebration. He was totally surprised and couldn't have been any happier listening to the group perform (especially when they sang Day-O). They are such a talented group and so engaging! Thank you so much for making my Dad's 80th Bday so meaningful and special and a shout out to Laurence the group manager who went above and beyond to accommodate our request to set up the equipment in advance of the party! It was a great night and thanks again! Wow...Nothing else needs to be said. These Brothers came in on Fire and performed. Their stage presence and routine was inviting. The crowd enjoyed them immensely and I'm still getting calls days later thanking me for inviting them and asking who these Fine Fellows are and how they themselves could get them to perform at their own events. I'm so glad I found you guys and am so blessed that you arrived professionally, entertained pleasingly and engaged so sweetly. The Tee-Tones...Damn!!! Need I Say More? Thank you so much for your kind words Margaret and for inviting the Tee-Tones to celebrate with you and your guests. Had so much fun entertaining and engaging with everyone. See you again at next summer’s barbecue! Mother the best birthday she’s ever had. Thank you to each of them for that! Thank you Sarah! We had a blast helping make your mother’s birthday an extra special one. Everyone was super sweet and the guys were really appreciative of that. Thank you for asking The Tee-Tones to be part of your celebration. Best wishes to you, your family and the birthday girl. These guys are talented, polished and fun! Everyone had a great time. I hope we can have them back for another event in the future! Hired the Tee Tones for proposing to my girlfriend. They set the scene perfectly with beautiful harmonies and friendliness. Hope to hire them again. I wanted something special for my parents 50th. The Tee Tones were the perfect choice. The guys were special people and together they delivered a magical performance. I couldn't have picked a more professional and dynamic Doo Wop/A Capella group. Thx for making the occasion extra special and a night, never to be forgotten. The group was excellent, sang some hits from their standard repertoire and also some requests for our wedding processional/recessional. Hire this group! We hired the Tee Tones through the Gigsalad website for a casual 65th birthday party for someone who loves Doo Wop and 6o's music. The party was for about 50 people and located in a tavern party room. The Tee Tones, and their manager, were delightful and are your perfect group from start to finish. The 20-somethings loved The Tee Tone's fantastic performance as much as the older crowd! People got up and danced spontaneously now and then, and the whole evening was wonderful as a result of the Tee Tones! Anything that you might be concerned about (quality of performers, money, timing, communication, set up, coordination of any kind), you don't have to worry about a thing! Thank you, Tee Tones and Gigsalad! I had asked the group to go "undercover" for a surprise marriage proposal for my now fiance. They were very patient when I didn't have all the details right away, and very attentive when I had to give them minute to minute specific instructions. Not to mention their performance was outstanding. I have heard these guys sing at my cousin's wedding cocktail party and they are phenomenal. Sweet guys, funny and incredible singers. 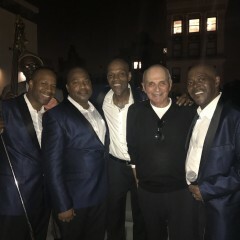 They really made the event I attended so much more fun and lively and brought us all back to the days with their great selection of classic doowop and motown music. Great renditions of your favorite songs from the Doowop 50's, Motown 60's and Classic Soul 70s and other classics thrown in occasionally from Elvis to Ray Charles. The Tee-Tones will provide an exciting and classy performance everyone at your event will enjoy and talk about for weeks to come. Inspired by the legends of Rhythm-n-Blues and the music that gave birth to Rock-n-Roll, The Tee-Tones are bringing back that incredible sound we all grew up on but few left can imitate. 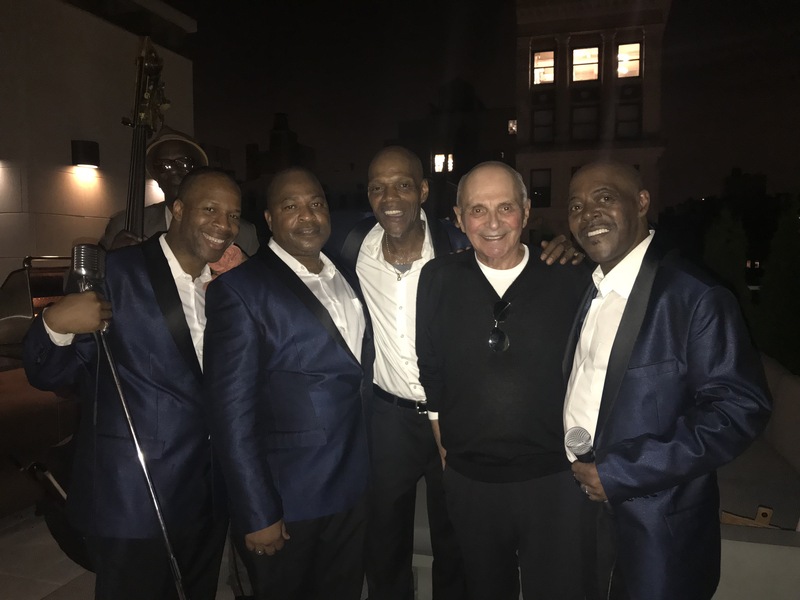 The Tee-Tones, are a five member a cappella singing group from New York City (six when accompanied by our extraordinary upright bassist and more with added guitarist and drummer), specializing in the great, classic sounds of the Doowop and Motown eras. Recently featured on PBS' "Doowop Generations" and having already performed for premiere gala events in the tri-state area including exclusive private charity events hosted by Paul McCartney, Stella McCartney and Berry Gordy, opening for Little Anthony, The Dirfters, The Miracles and performances on Good Morning America and at The Beacon Theater, The Barclays and Wildwoods Convention Center, The Tee-Tones are quickly making a name for themselves in today's music industry and becoming one of NYC's most in-demand, soulful singing groups. The Tee-Tones combine soulful group harmony with passionate vocal performances of the great classics from RnB groups of the 50's and 60's and beyond. Even songs by Elvis Presley, Pharrell and Bruno Mars haven't escaped the repertoire of these versatile and talented men. 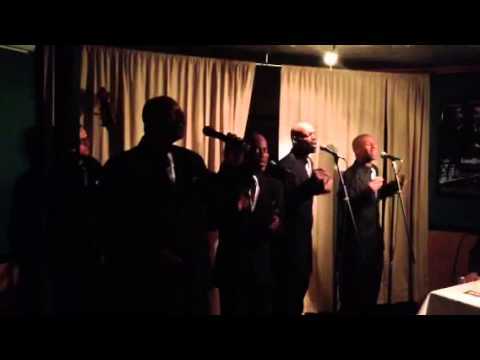 From music by Frankie Lymon, The Drifters and The Temptations for example, The Tee-Tones do it all as audiences can't seem to get enough of their energetic, gospel flavored harmonies, impeccable musicianship and hair raising vocal performances of the Classics we all know and love. See our main website for a full list of songs in our repertoire. The Tee-Tones are available as an a cappella group as well as with add-ons acoustic bass, guitarist and drummer. Adding on a bass, guitarist and/or drums could depend largely on both the length of performance and budget you have. We travel to anywhere in the United States providing certain rider standards like room and board/hotel and round trip airfare/transportation be provided. Provide as much information about your event and we will do our best to give you a great quote. 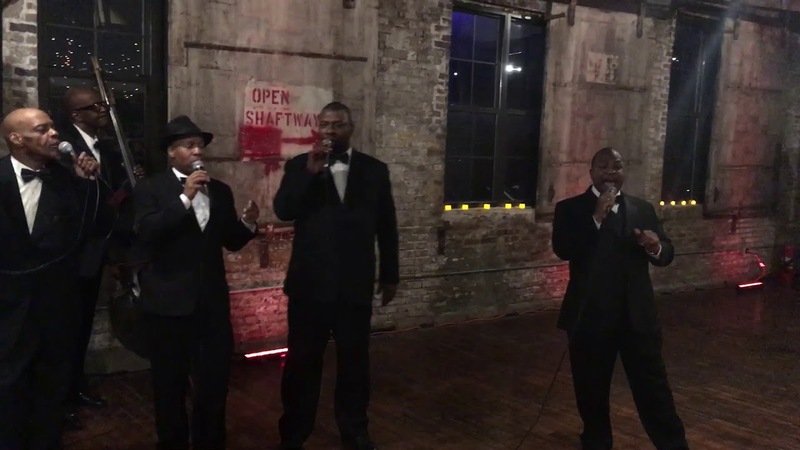 The Tee-Tones would be HONORED to perform for YOUR special event and take that musical journey with you and your guests back in time. Contact us with details about your next event. Wedding cocktail hours, birthdays and anniversaries are our specialty and we also do holiday parties and corporate events, festivals and recording projects. If not traveling with our own sound, please provide 5 mics and ample room to move on stage. Please provide a secure room to change and store clothing and 5 bottles of water. The TeeTones are available as an a cappella group as well as with add-ons Upright Acoustic Bass Guitarist and Drummer. Adding on a bass (or bass, guitar and drums) could depend largely on both the length of performance and budget you have. We travel to anywhere in the United States providing certain rider standards like room and board/hotel and round trip airfare/transportation be provided. Provide as much information about your event and we will do our best to give you a great quote. Our popular and most requested set lists can be viewed on our main website. Expect a high concentration of fun Doowop, Soul and Motown style repertoire fit for all ages. The Drifters, The Limelites, Frankie Lymon and The Teenagers, Little Anthony and The Imperials, Sam Cooke, The Temptations, Smokey Robinson, Stevie Wonder, The Stylistics, etc.